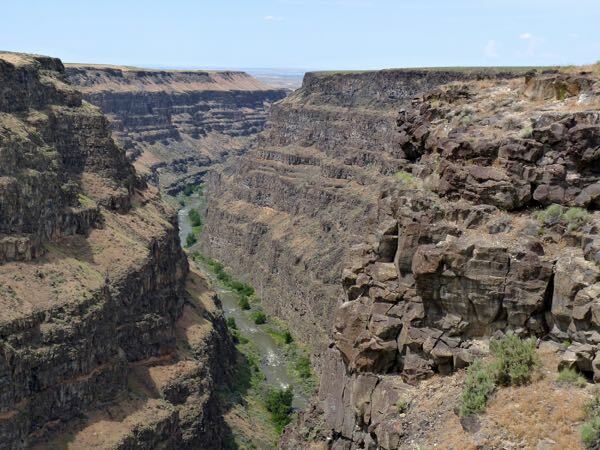 Bruneau River Canyon was more like what I would call a gorge. It was a very deep and narrow crevice in the mesa with a wild river rushing through the bottom. Standing at the edge was exiting, and a bit scary. Yet, it was necessary in order to see the river. Popular with white-water rafters and kayakers, rated Class IV rapids, the river looked challenging. Getting to the gorge meant a 19 mile drive from town; mostly on a paved road. But, the last 6 miles was gravel and went across a bombing range. Do you watch the road or the sky? 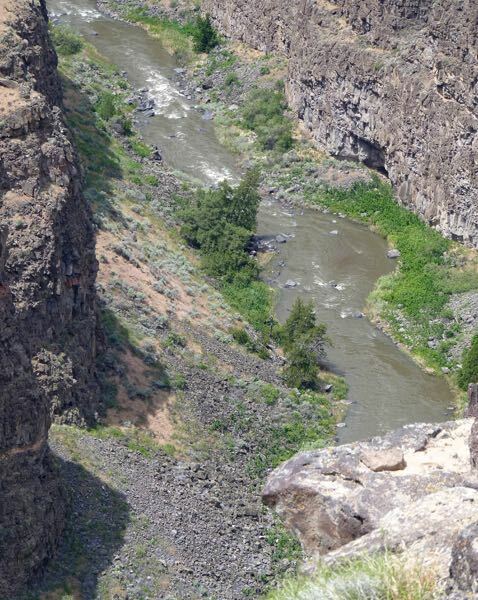 The view of the gorge was worth the risk! 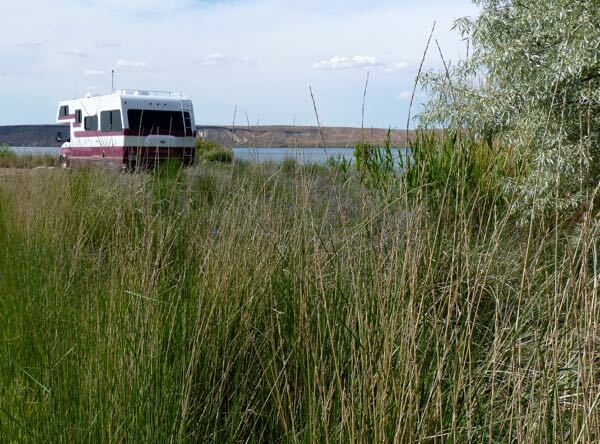 Afterward, I found a free camp at CJ Strike Reservoir provided by Idaho Power. My spot was right next to the water with some adjacent trees. Lots of birds, butterflies, fish jumping and boaters having fun. Such a wonderful natural setting, with pit toilets and good internet meant I had to stay for a few days. Somehow I managed to enjoy it. What spectacular pictures! 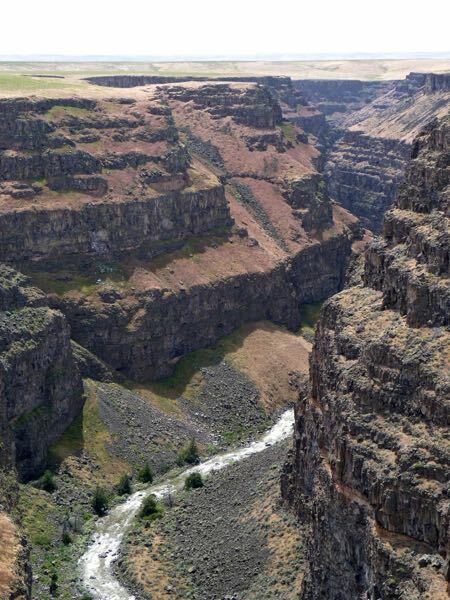 I would love to fly a drone over the gorge… Cool scenery. Like you, I’d venture through the bombing range if it meant seeing more. It sounds like a great place to stay for a few days! The drone would taking amazing photos. If it had flight issues, then kiss it goodbye. Thanks for the good vibe about the pix. Was it not too hot for your camping here without air conditioning? It doesn’t look like you had hookups. No hook-ups. It was a bit warm. A breeze from off the lake helped. I could have used the A/C, in the middle of the day, with the on-board generator. But, a fan is all that was needed.